Eye-opening. How the ANC’s December election works and why it’s NDZ’s to lose. With me on the line from Johannesburg, I have Ralph Mathekga who is a political analyst and commentator. Ralph, the ANC vote is less than three weeks away and there’s huge hype around it. Let’s just go back to the beginning. Can you please explain how this whole voting process works? We’re now starting to see provinces nominate their choices but then they vote again in December? The process is that the branches gather and then nominate candidates in terms of how the branches feel. They’ll set up the mandate of the party and the branch is seen as the connecting point between the party and the people, so the branches are supposed to nominate as a way of reflecting on how they feel the mandate of the party ought to be carried out. The process of the nomination of the leader also goes along in parallel with the process of the delegation that are being mandated by the branches to go to the elective conference. In most cases what we see happening is that when a particular candidate is nominated by a particular branch that means they’ve preferred someone over somebody else. What they tend to do is send the delegation who are going to check that mandate to be able to vote in line with what the preference of the branch. So, there is no other institutional link from the branch to vote at the conference. What the delegations ought to do, in terms of principle, is that they’re supposed to go and vote in line with what the branch has said they ought to do. A province can actually have its own preference but a preference by the province is merely a preference by a province because the province on its own does not constitute a voting body at the ANC elective conference. The province does not even send a delegation. What the provinces do is that they prepare the branches and, also prepare the regents of the party so that they can go through the nomination processes. There will always be a time whereby the provinces will try to lobby those branches and so forth, and in principle there should not be anything wrong with that as long as it is done openly and not done in a clandestine manner. Therefore, when a branch delegate leaves the branch with a mandate and they take it to the conference, there is no provision in that mandate. It should not be infiltrated by the province, irrespective of what the province actually prefers. What the province prefers is for me, just maybe, a voice of solidarity across the province. But the buck stops with the branch delegation who would have been given a mandate by the branch in the branch meeting. Ralph, in theory, this is supposed to be a very democratic process. You’ve got the branch members who, from a bottom-up point of view, are deciding who takes over the party then? Exactly. In principle this is supposed to be the most democratic process, even if it is currently infiltrated. If you look at the different parties in SA you can say the ANC process is the most open and democratic process. The challenge however, is that you have the provinces and the regions of the party trying to infiltrate the voice of the branches. In most cases where branches have been given a mandate in the past, they have acted in accordance with that mandate at the conference when it comes to voting. It’s likely to go in a similar manner in that way in this conference that we are looking at. It’s supposed to be the most democratic process. 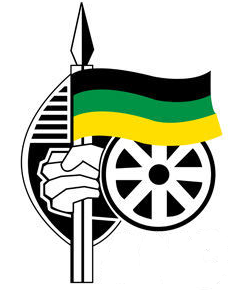 But, of course, you’ll have things that create tension – they become very tense because it is well-known within the ANC that once a nomination is pushed in a particular way, the delegations that are going to be sent are also going to be selected in line with who can be trusted to carry that out. People need to have that loyalty. Usually the delegations are selected on that point. What that means is that if you lost out at branch level, it makes it very difficult to come back with a surprise at a conference by getting a favourable vote. That would have required that somebody intervened with that mandate from the branch, until it is being expressed in the form of a vote at the conference. The way in which I’m understanding this is that you’ve got your branch members who nominate a leader or a group of leaders, and then, separate to that, you have branch delegates who go to the conference and then carry out the mandate of the branch members. So, do the branch members then not necessarily attend that conference in December? The branches will nominate their own delegation to go and carry that mandate of the branch. That delegation will be sent to carry that specific mandate. However, members of the delegation vote secretly. The electoral process at the conference are presided upon by an independent body and I think the IEC is involved, or some electoral body that is independent is involved. So, there is no guarantee that a branch member will go there and remerge on this mandate. There is no guarantee that we can stop that because you won’t know how branch members voted but in the past. Branch members have voted in line with who they’ve been asked to vote for. What’s very interesting about this as well – and this is something that needs to be taken into consideration – is about why some of these branch meetings collapse. This has happened once a nomination is done. The process then is to make sure that you protect that mandate by having loyalists to do that. That is why it’s the people who lose the process of nomination – they usually want the whole meeting to collapse because they know that anything that follows that, the selection of the branch delegation, will just be in line with that. It becomes merely a fait accompli at a branch level. This is what creates tensions within the party because the biggest fight is concentrated at the branch level. They are also concentrated on that when it comes to the rightful delegation. You may not be surprised to see some of the branches having big differences as to who’s in the delegation. You might have a delegation and you might have others trying to scuttle the process by having a different delegation within the same branch and thereby pursue a different mandate. Why this is, is that because they know that if you can manage the process at branch level and align it very well with the delegation, then you are almost halfway through in securing your mandate at the conference. So, what we’re seeing now is a very key process? We’re seeing a number of provinces starting to nominate their leaders via these branches. If you lose out at this stage as a potential presidential candidate or if you’re on the back foot, you’re then probably going to be on the back foot at the conference in the end? Indeed. So, the system is structured in a way that it is so easy to align it in that manner. That is, if you lose out at the branch level, then there is no recourse. There are certain compromises that usually get made on the position after the deputy, the secretary general, and so forth. But usually branches are given a lead as to how to vote. The delegation of the branches is given those leads. In the same manner that during the process of nomination, the branches are also given names. There is a heavy influence on the branches. So, if you lose out at a branch level, you have two things that you can do: you can accept and hope for a miracle at the conference or you can just disrupt the branch. You can disrupt the branch by contesting the legitimacy of that meeting, as we see happening currently. That is, the legitimacy of the delegates that have been selected by that branch. The problem then results in a situation in which this cannot be resolved at a branch level, as the contest originates there. It can then get kicked down the road to the conference. That is why within the first few days of the conference, much effort is put on who are the rightful delegations. This is because this problem could not have been dealt with there. The question of the delegation is not supposed to be complex. You are supposed to just look at the branches, you get the list and compare, and then you check to see if it’s the same people. But it becomes so contested at the conference in the sense that you’ll end up having some of the branches having parallel delegations or having two sets of delegations, and reflecting the differences at the branches that’s been pushed through to the elective conference. We’ve just seen a situation in the Free State now, where a group of people are challenging the final results that have come out there. Obviously, Dlamini-Zuma outright won that province at the branch level. What has happened there exactly, and what kind of impact could that have on the overall conference? The problem is that ANC member have precipitated ways of challenging the results of the internal processes — internal processes such as the branch nomination process and the process of selecting delegations. So, that process of the avenues to disrupt is something that has been perfected within the ANC. In the earlier processes, towards 2012 at the elective conference in Mangaung, the members of the ANC largely disrupted their branches and the processes physically. But in 2017 they’re going to court. As we speak, we have the Eastern Cape that is hanging. We’ve got KZN as well, and even if, institutionally, provinces are irrelevant to the conference, we know that there are players (provincially) who to a greater extent you can say exact coordinating role when it comes to assisting branches to hold their meetings and undergo processes. But institutionally, provinces are not so relevant. 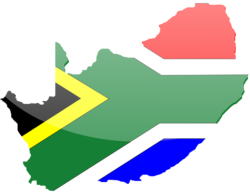 But if you take into consideration that, for example, in KZN the branches have been prepared by the provincial leadership that has been said to have been illegally constituted null and void, it means that you can then have a very good legal standing to challenge all the delegations that might be sent to the conference from KZN. It’s because you can actually make a case that the delegation has passed through a process that has been presided upon by a null and void body. You can go to court and make that case. So, the implication is that in some of these cases that we’ve seen coming up by way of challenging the processes, at regional and at provincial level, these cases are likely to be seen as test cases or as building-blocks towards a bigger case challenging the entire conference, in my mind. 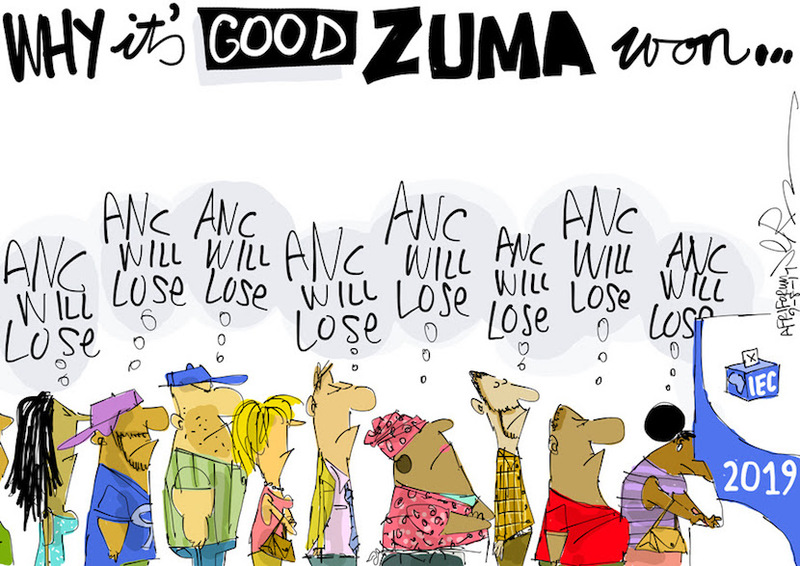 Cartoonist Jeremy predicts the fall of the ANC in the next national election. More of his magic work available at jerm.co.za. Could they risk stalling the conference? Certainly, you can stall it. You can interdict it on the basis of urgency. You can even look within the ANC constitution itself and I think that given the extent of the problems they’ve had, and the extent of crises, and failure by the members of the ANC to adhere to stipulations of the internal processes as outlined in their constitution, if you look at those transgressions you can just pick and choose how to go about disrupting this conference. You can disrupt the result, you can interdict the whole process of delegation. You can end up with some of the branches and regions not being there because you can interdict their participation there because you are challenging the process in which they’ve prepared for that conference. If that does happen, could we have a situation where a leader who’s elected to the top post or posts, may not necessarily be able to take control of the party come January, and that President Jacob Zuma could still be the president of the party? In all honesty, if you look at the level of contest towards this conference, or intensity of the conference (even if you enumerate the court cases, involving regents and branches, etc.) to me it will be a surprise if members of the ANC do not challenge the results in court. It will be a surprise if they do not challenge the whole question of the delegation processes there, at the conference. This is because once the delegations are decided, you will then have a sense as to where the conference will go. It will be a surprise if you don’t see a legal challenge to that. The legal challenge is not only available to only those who are presumed to have sinister motives. It is equally available for both factions. If we are thinking of the major two factions, in terms of Ramaphosa and Dlamini-Zuma – it’s available for both. Look at the context that has already been mooted regarding the processes in the Free State. It is Ramaphosa’s people who are said to be considering legal action on some of the decisions taken by the meeting in the Free State to endorse Dlamini-Zuma. You have a legal avenue for both sides. It will take a great deal of restraint for either side not to exhaust those legal avenues if they find themselves in a bad position. Just to get back to that vote that’s going to happen between 16 – 20 December. Is it essentially, one man/woman, one vote? We’ve spoken about the provinces and you’ve said that the provinces are like ‘containers’ for what the branches are doing but ultimately, it comes down to whether you, as a leader, have got more votes than the other guy or lady. It will come down to that. It will come down to whether you have a no vote or not but there is something else very interesting. They are very interested in one phase. You can win or be voted as the president but it does not guarantee that your slate will end up nicely packed as the deputy, or the secretary general, or chairperson, or deputy secretary general of the party, and so forth. Those positions, below that of the president, are very key to the party and very key to stability in government. If you are the president and you are packed with people who will not work with you at a party level, the secretary general and so forth, because the branches can actually do that. 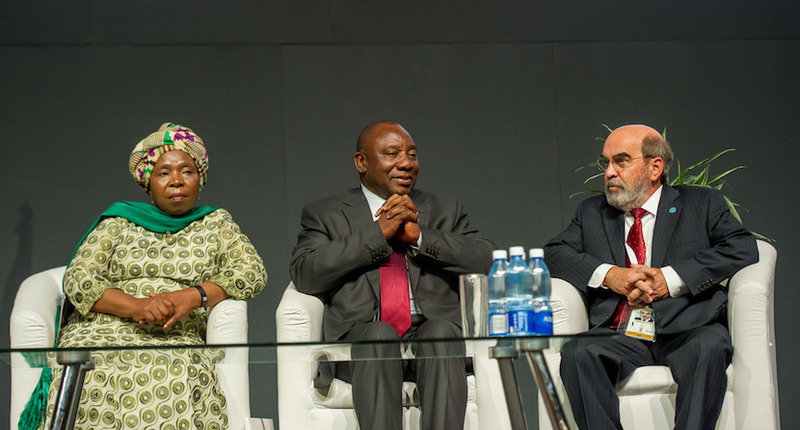 Deputy president Cyril Ramaphosa and Nkosazana Dlamini-Zuma. The branches can have a president they like and they can pack that president with different people who are going to control the party. Then that president will have a problem functioning with a party that is hostile because the other top leadership within the party, including the secretary general, might not play ball. So, in theory that can take place so that is one phase. It’s not just about the position number one and two. It is also about number three, further down, because that tells you about the powers of the party and how the party will react to government because the president will presumably be in government while those other key positions, the chairperson, the secretary general, and the treasurer will still remain in the most powerful positions within the party. Those people who hold those positions might be able to have a lot of influence on the party, to a point where they can even recall the president whenever they want. That is why it matters a lot. Also, we should keep an eye on who constitutes the NEC (National Executive Committee) of the party. You can have the president who is going to have a hostile NEC then that president is not going to enjoy the term because you are going to have to work very hard with the NEC, as they can threaten you with removal. So, there are many interesting layers of nuances here, which I think that if you start focussing on that then you will start to see how complex the picture is. But in most cases, as we’ve seen in the 2012 elective conference, when President Jacob Zuma won there was a perfect alignment at the NEC level. It was then dominated by his allies. Hence, he has had the NEC that has protected him throughout his term. So, all this talk and noise about provinces is really just a smoke screen? It’s ultimately down to whether it’s first past the post come December? 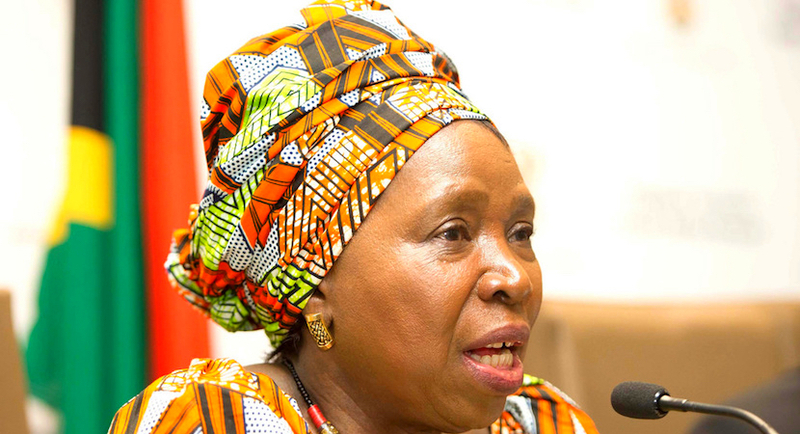 How many votes would Dlamini-Zuma need to get to win the race in December, or vice versa for Ramaphosa? If I look at the rough numbers out there we are talking about 4 500 delegates, let’s say just under 5 000 delegates that are expected to be there, and we are talking about the equivalent amount of votes. So, you are going to need the majority, Dlamini-Zuma will need 2 500 or so, in order to win. My mathematics is not perfect at this point because remember when we talk about the credentials some of these BGMs or branch meetings that are being disputed. So, we don’t know how they will be finalised. We don’t know whether those branches will be seen as being in full standing, and so forth. You’ll get the numbers from one faction and different numbers from another faction. I think the problem will play out at the conference so, we will see. But I think you are going to need in the range of 2 500 or so, in order to make it. I’m going to put you on the spot but is it possible to say who is ahead at this stage? You are putting me on the spot, and I’m going to give you a very honest answer as well. If you look at the public discourse and if you look at what is being said in the mainstream media, and if you look at what people wish might happen, the ideas that are coming out that Cyril Ramaphosa is ahead because he relates very well with the media. I think that he has been able to build a very strong perception that he’s ahead. In terms of, Dlamini-Zuma’s candidacy, she’s got the Free State, she’s got the bigger part of KZN and if she gets Mpumalanga; the chances are that Dlamini-Zuma will win. So, this is a very intense elective conference, which has got very interesting two layers to it. The first layer is what the public says out there and what the public wishes could happen. This is the very same public that has been wishing President Zuma’s going every week, for the last seven years, and he’s still there. I still think that looking at the dominance of the incumbent (Jacob Zuma), who prefers Dlamini-Zuma – I think it favours Dlamini-Zuma very well but it is very close. There has been some interesting realignment within the ANC where Mr Ramaphosa has made a great deal of inroads. My view is that if you come as an outsider, like Ramaphosa, you should be able to be significantly stronger than your opponent and I don’t see that. Ralph Mathekga, thank you very much for this very enlightening discussion. I think I certainly understand better how this whole process works out now. Thank you very much and it was a great pleasure talking to you.